Packaged bees are emptied into a Fort Kent hive at the start of the 2016 season. The short answer is yes. But wearing a bee suit does, however, greatly lessen the chances of getting stung. 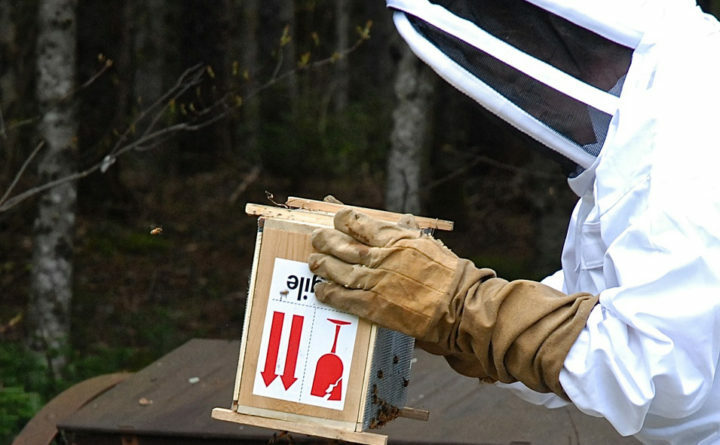 A typical, full body bee suit is a single garment usually made out of heavy white cotton canvas or several layers of bee-proof mesh netting. It has long sleeves with elastic at the ends to close around your wrists and long legs with elastic to close around your ankles.